London, October 2018: NEP Group has announced its acquisition of SIS LIVE. The acquisition complements NEP’s Broadcast Services and Media Solutions businesses, strengthening the company’s support of live sports, broadcast and entertainment clients across the UK, Europe and worldwide. The addition is also consistent with NEP’s stated strategy to grow its Media Solutions segment, and connectivity capabilities are critical to NEP delivering a full suite of managed services that enable NEP’s clients to make, manage and show the world their content. 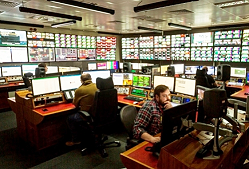 With two dedicated network operations centres providing 24/7 service monitoring and management, 17 antennas across two geographically diverse teleports, over 150 connected venues, a large fibre and satellite hybrid fleet and fully managed services offerings, SIS LIVE is a leading provider of global critical connectivity services delivering content to millions of viewers worldwide. Their core Anylive® fibre network has over 150 access points at major sporting venues, entertainment complexes and other connectivity centres supporting clients such as BBC, ITV, ITN, Sky Sports, SIS, ARC, TRP and Tata. Following a short transition period, SIS LIVE will become NEP Connect, which will serve clients globally as part of the NEP Worldwide Network and go to market under the NEP brand. SIS LIVE’s current leadership team will continue to run the business under the direction of David Meynell, Managing Director, who will report into the NEP UK & Ireland division.